The other day, while at work posting on the NAGTROC forum for my day job at STILLEN, I ran across a link from Ian- mindlessoath. Ian is a wealth of links, and information. He is a huge GT-R fan, and finds some cool stuff. He posted a link to some fans, on this site Suzuka Racing Services. 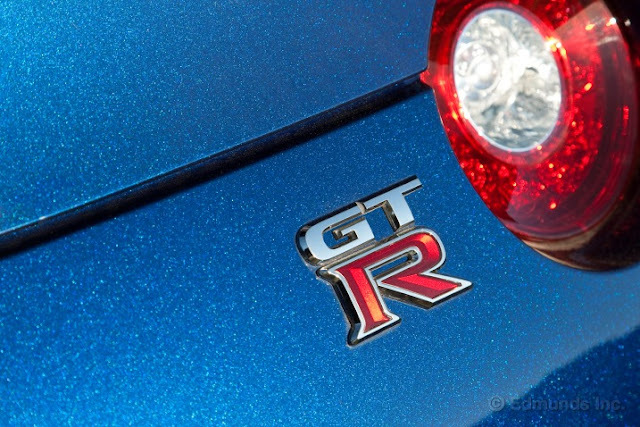 After poking around a bit, reading though an article Flying like the wind, I came to the realization that the guy that did a lot of the aero development work for the Nissan GT-R was a real car guy, with a real car background. GTP, Electramotive, Can Am. I love the trumpeted intakes on the Can Am cars. If you have never seen or heard, or felt Can Am cars thundering down the front straight at Road America, or any track, you haven’t lived. Check out the rivets in the chassis of this car. The cooler setup, and the minimal driver protection. Further digging, and I ran across this page - 500 km/hr (311 mph) page. Looking for an investor who want to set a new world speed record of 500 kph (311 mph) with 350Z or R35 GTR. My career in racing started from BRE (Brock Racing Enterprises) working 510 and worked for Electramotive IMSA GTP, NPTI , NISMO, NTC and TRD as an design engineer, involved in variety of race cars and production cars. to set a world speed record with Nissan 350Z car , R35 GTR or any other production cars. There is no record over 305 mph with production car based car. Above 305 mph records are all made by Lakester. Mean, low looking Nissan GTR. It looks like he wants to set the engine back a bit, convert the car to 2wd. The engine even looks like he might have planned for some kind of V8 setup. TTC, Ferrari GTO with 1850 hp motor went 268 mph but front lift made him roll over at Salt Flat. this vehicle was designed strickly for maximum speed. years and to achieve low Cd with adequate front and rear downforce is my specialty. To reach 250mph will be easy, but to go over 300mph will be a different world, since the aero force act as a square of the speed. The traction/ drag ratio is the key. four to six weeks in a wind tunnel to study with a detailed wind tunnel model. The R35 GTR has much better basic aerodynamics but still need a windtunnel model and testing in a tunnel. Renting a typical wind tunnel with a moving ground (essential device) costs about US$5,000 to $17,000 per day and a model will cost from US$100,000 to $300,000 for this purpose. To set 500 kph is a monumental record and it is quit possible. If the investor wishes to drive this car by himself and if he does not have an experience for high speed run, I will set up some practice program. The car will be very stable and safe, so only need to be get used to its high speed. There is nothing to hit in case of the accident and I will make state of the art survival cell and other well destined apparatus. So who out there wants to try and go 300 mph in a Nissan GT-R or 350Z? It sounds like a really cool project. One of these years I would love to get out to Bonneville. MotoIQ’s Chuck Johnson took a Nissan Sentra out to the salt and ran it. The Sentra has the aerodynamics of a barn, but he still managed a respectable mph. Wow! This post is unbelievable. I love the photos too. Makes me want to climb into a GT-R right away! I was wondering if we'd be able to feature it on our Nissan Community? Sure thing. It did not originate with me. It came from the Suzuka Racing site. Do you happen to write content as well about Nissan?